TJ Walsh, Director at Townlink Construction talks to Irish building about the growth of the company, their milestone projects and the challenges the industry faces. TJ Walsh has been instrumental in the growth and development of Townlink Construction from humble beginnings to one of the leading construction companies in Ireland. TJ is a Chartered Builder and Chartered Surveyor and has held top positions in professional organisations. Established in 1991, Townlink is recognised as one of Ireland’s leading construction companies, delivering high-quality projects across many sectors: Education, Residential, Community Enterprise, Medical, Pharma, Private and Corporate. TJ says Townlink work across all sectors and this is one of the strengths of the company. “We work on everything from pre-cast structures to very sensitive fit-out projects,” he informs us. Townlink’s turnover in 2017 was €24m. They anticipate a turnover in the region of €30m for 2018. Townlink focus on projects in the region of €3m to €15m. Townlink have grown sustainably over the last number of years through risk management and mitigation, strong reputation and investment in their people and systems. 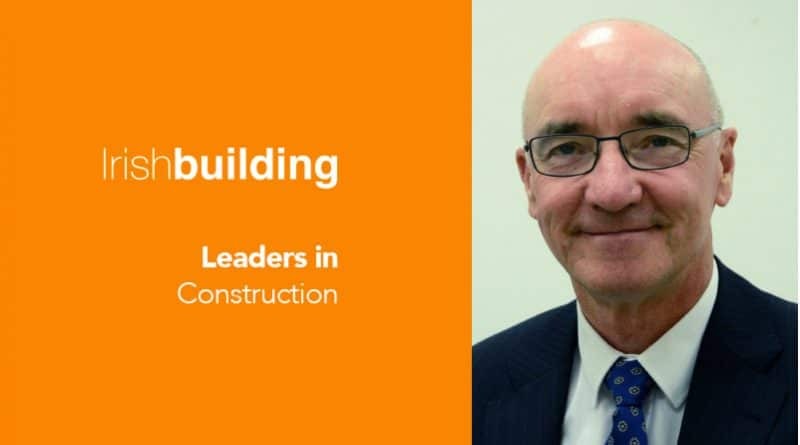 For over 10 years TJ served on the Council of the Master Builders and Contractors Association of the CIF, and was President of the Association in 2006. He speaks proudly of the quality of Townlink Construction’s projects. TJ tells us about their milestone projects, firstly, Rosemount Court which Townlink are presently working on. It is a €11.5m project, a 44 unit residential development within an existing estate in Dundrum for Dun Laoghaire Rathdown County Council. Townlink recently completed a €7m fit-out of ESB International’s new Headquarters at One Dublin Airport Central. “The budget was fixed, as was the timeframe – due to the full decant of staff from the previous Headquarters in St. Stephens Green,” TJ informs us. Proudly speaking of key projects of late, TJ states: “We were delighted to be shortlisted as Finalists in two categories for this year’s Irish Construction Excellence Awards: Guinness Storehouse Brewing Floor (Leisure/Tourism) and the INMO/Old Richmond Hospital (Conservation/Heritage).” Other recent projects of note include The Weir Residential Development at Orwell Road of apartments and townhouses, and Beacon Hospital where Townlink completed the refurbishment and fit-out of the Radiology Department. TJ outlines the challenges faced in the industry at present, primarily: procurement and contracts, the skills shortage, and education and support for all employees. “The GCCC form of contract is too onerous,” he tells us, “it pushes an excessive amount of risk on the construction company. The backbone of the Irish construction sector is small to medium size businesses, many of them family businesses who are unable to sustain these risks. If the Department of Finance want these companies to stay in business, grow and expand in the long term, these contracts need to be set aside, and new, fairer conditions put in place.” TJ believes the current GCCC contracts have introduced a culture of hostility in the industry that was not there before. He says we need to have contracts that encourage the parties to work together in a collaborative way. Telling us his views on the current labour shortage and what can be done to address the shortage in the Irish Construction Industry, he says we need to encourage our emigrants home. “To do this we need to reduce taxes on employment, and create a climate where housing is affordable and close to people’s places of work,” he tells us. Townlink is committed to being the safest, most stable, and most rewarding place to work for the benefit of all of their employees, customers, and the communities in which they live and work. Townlink’s success has been in the widespread adaption of the methodologies and principles of their Health and Safety programme, and in the rapid and significant reduction in incidents across the company. “Together we will THINK, COMMUNICATE, and WORK SAFELY, every minute, every hour, and every day,” is the motto of the company he tells us. Regular safety audits are conducted with the Townlink Directorship and Site Management Team. The company focus their audits on the behaviour of people as well as the conditions of the operating area.